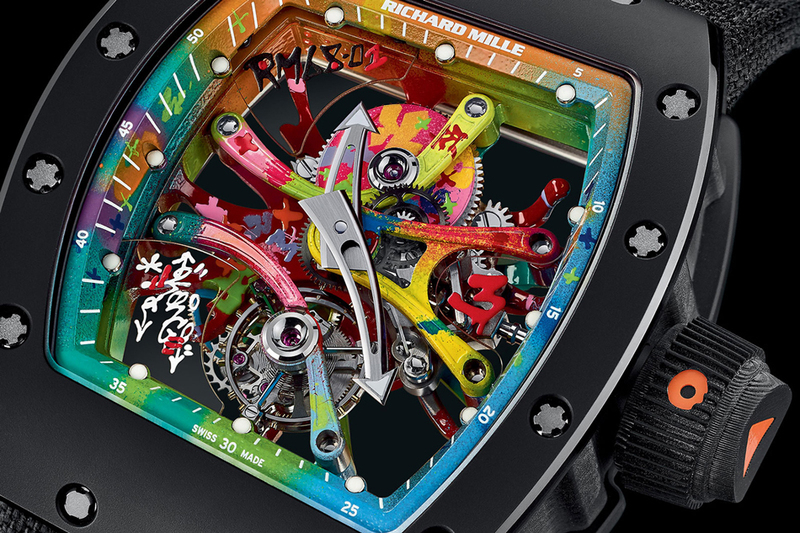 Bespoke timepiece company Richard Mille asked French street artist Cyril Phan, aka Kongo, to add a his graffiti style to every component of their ‘RM 68-01 tourbillion’; model. Working closely with the research and development team, they first selected an asymmetrical case that added extra punch to the design. The paints had to tested to adhere to the delicate titanium movement as well as the weight, as not to throw the pieces out of balance or impede the mechanisms. 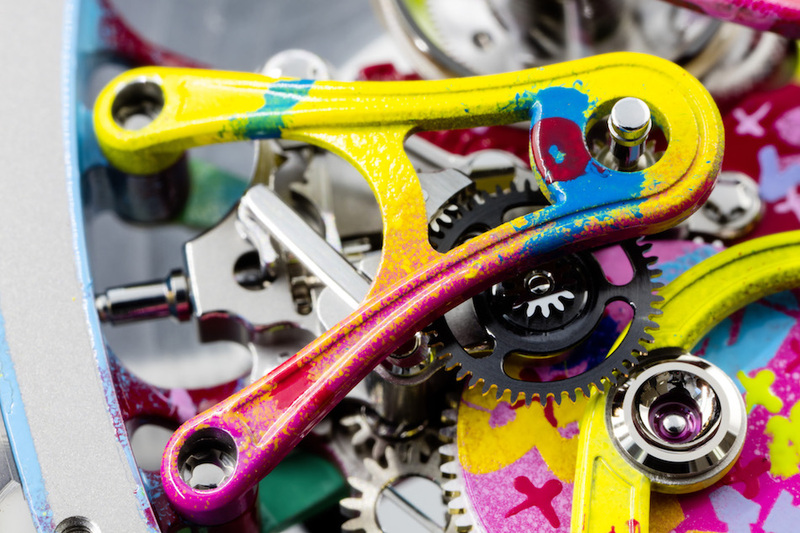 It took about a year to perfect the process and design necessary to protect the gears, using special tweezers for treating the pieces without touching them. 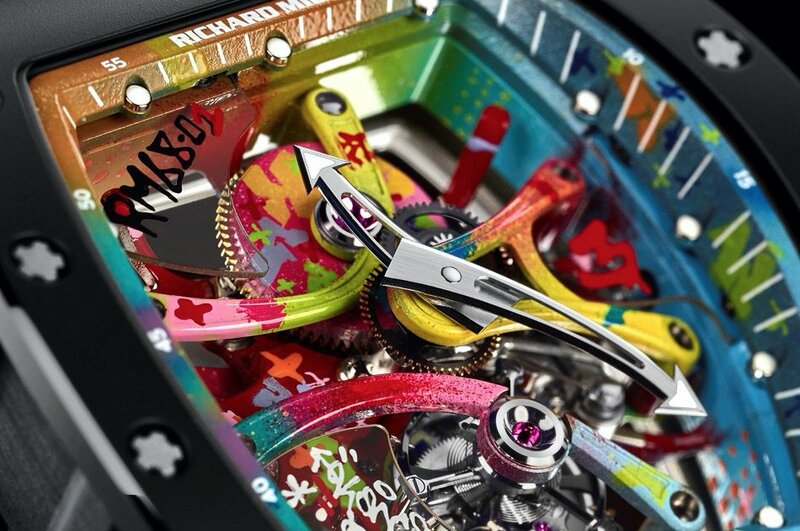 Microscopic letter stencils, barely visible to the naked eye, cut from thin sheets of metal created graffiti art never found on a timepiece before. Cyril Phan also employed very special pens for his airbrush system that deposits paint drop by drop to apply the particular paint on the metal surfaces. 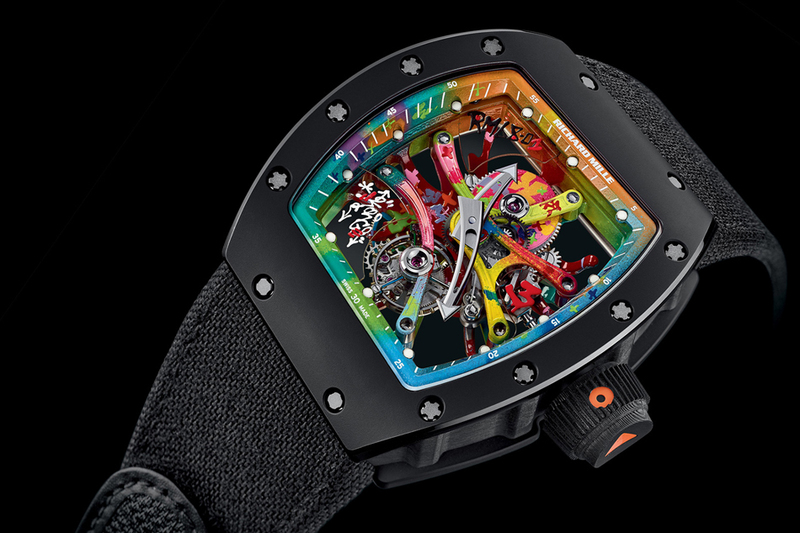 For each watch, the French artist wanted to inflect a graphic vocabulary with letters, words and colors – basically the same as painting on a canvas. 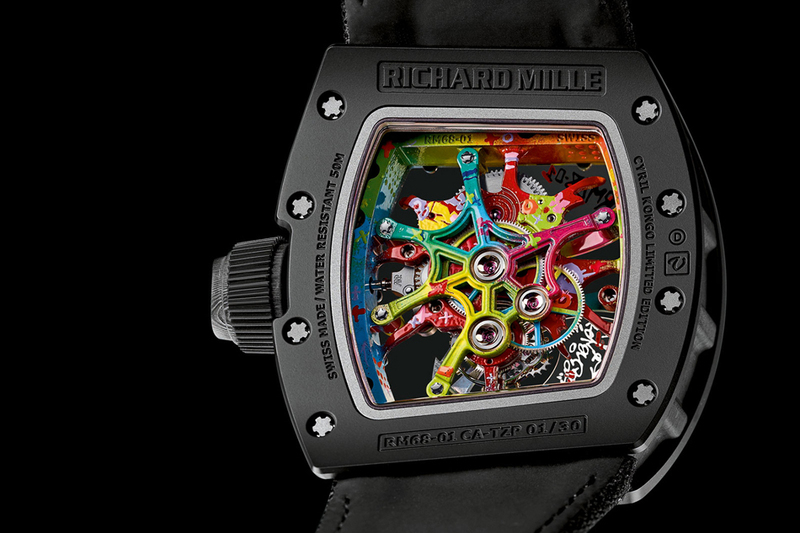 Never before has a graffiti taken shape on the bridges and baseplates of a watch, making the Richard Mille ‘RM 68-01’ a truly contemporary piece of art within the timepiece market. And also you can check 50 Best All-Black Watches for Men.